Idimon is an independent company of loss adjusters, which mainly activates in evaluation and settlement of claims of any kind. Research, Analysis and Autopsies of all kinds. Idimon is an independent company of loss adjusters, which mainly activates in evaluation and settlement of claims of any kind. The losses and the need for proper consideration enforce the presence of a loss adjuster. 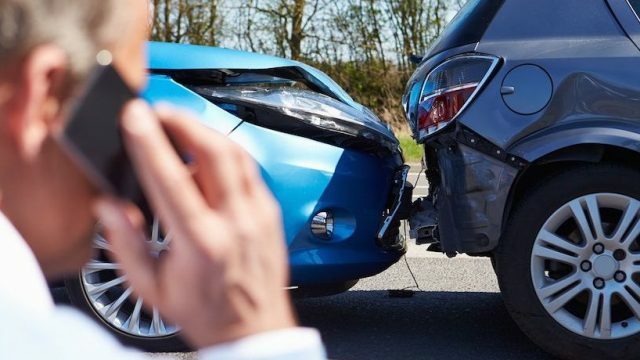 A loss adjuster is the key partner of the insurance companies, as it is the one, who comes into contact with the victim or the repairer to assess the damage. 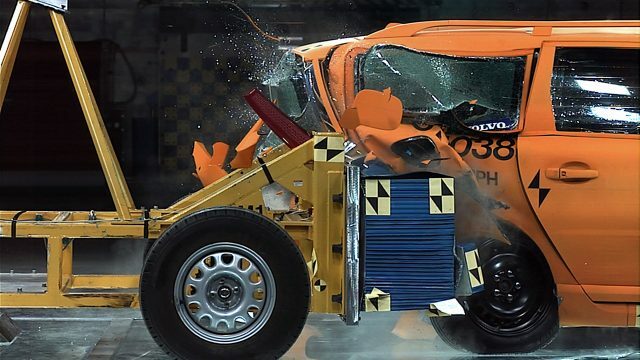 However, the main objective of the Ιdimon not to do a simple analysis – an assessment of accident-damaged vehicle. In contrast, we submit a fully detailed analysis, based on our expertise and on our long experience. We perform pre-insurance inspection of all types of vehicles and yachts. Expertise and long experience that characterizes the members of Idimon in the pre-insurance inspection combines with the approved certification we provide to the insurance companies, for each technical inspection we do, followed by documented results that no one can dispute. Buying a used car or a yacht is not a simple process. It is uncommon that used vehicles are sold with “decreased” kilometers, or damaged and repaired with the worst standards, or even bought from abroad without anyone knowing where they actually come from. Idimon has as main objective to identify and qualify the extent of the damage, the cause of the damage cost, the repair costs, and to help the average citizen driver – owner. Nowadays, laws and regulations are constantly changing. In Idimon, we decided to devote more time to our customers for the support we provide to them, in collaboration with our legal adviser, until their case becomes final and as long as it is necessary. Traffic accidents are one of the most significant problems of the Greek reality. Knowing from long experience the severity of the outcome of an investigation of a traffic accident, we want to point out to our customers that Idimon collaborates with the best professionals, analysts, researchers, and also we have the most modern systems-analysis programs in cooperation with European institutions. What are the requirements for someone to practice the profession of a loss adjuster? In Greece there is no institutional framework for the profession of a loss adjuster, or even a standardization in the form that a loss adjustment report should have. 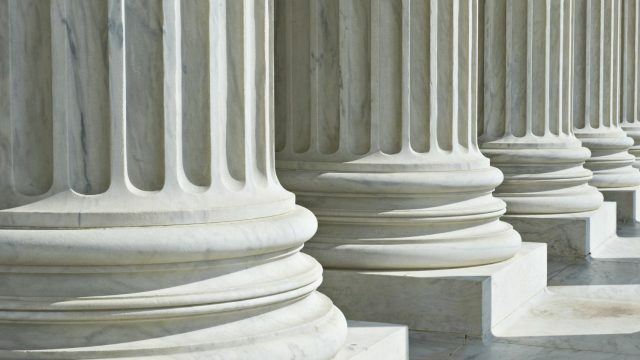 Anyone can claim to the IRS that he will practice the profession of a loss adjuster and he can straightaway begin to practice it without any official control about the qualifications he should have, in order to offer valid and undisputed services. Therefore, it becomes clear that there is an intensive need for the foundation of an institute or a chamber by the standards of European countries but also those of the U.S., in order to be restored to the community the prestige of the profession of a loss adjuster; and to attract more and more people who want with modern equipment to practice this very hard, but also quite interesting profession. The actual requirements to practice the profession of a loss adjuster depend on the field – domain, in which someone will specialized. During the process of developing a loss adjustment report, one will need specialized knowledge. If he does not have it, then he definitely should have a broad network of associates, from who he has to recruit the best ones to help him in his work. Therefore, his work also includes the coordination of people of various expertise, who will call to help him in his difficult work. Without any exception, all loss adjusters should have : The ability to write clearly, in order to be able to express their thoughts methodically, while having a decent and convincing presence in the court, when they are called as witnesses to support their loss adjustment report. To have communication skills, in order to be able to communicate with both their clients or the members of the insurance companies. In a relevant question that it has been recorded in 24.05.2000 in the joint press conference of the Ministry of Development and the Union of Insurance Companies of Greece, Mr. Dimitris Kontominas, President of the Union, inter alia, replied that “we are in a free market, each firm chooses the loss adjusters it uses. This used to happen, it happens and it will continue to happen because there is not any official authority that deals with these things, saying we will do this, we will do another. Each company is free to choose the loss adjusters it will use. Both market and my colleagues demand ==>> free choice of loss adjusters On the same issue Ι quote below some articles of the Criminal Code that will help readers to see the rationale of the legislature for the operation of the courts in the matter of appointment of a loss adjuster : Article 183 (When to order a loss adjustment) If you require any special knowledge of a certain science or art to make an accurate diagnosis and crisis of an event, the investigating officers, or the court can on its own , or on request by a party or the prosecutor to order a loss adjustment. Article 184 (number of loss adjusters) If the process of a loss adjustment can not be done by a laboratory, which was established by law, as well as in other exceptional cases, they are appointed two or more loss adjusters. In urgent or minor cases it may be appointed only one. Their appointment in extremely urgent cases can be done orally, however the composition of the loss adjustment report is following. At any stage of the trial, but before the loss adjustment report is given to the court, the prosecutor, holding its own motion that the loss adjusters who were appointed are more than they needed; he has the right to limit to three (3 ) the number of the loss adjusters, who were appointed by the judge in this case. (In this case, judge determines which of the loss adjusters, who were originally appointed, will be retained in the case. The same apply to the loss adjusters, who were appointed by the prosecutor or any investigating official). Article 186 (selection and appointment of loss adjusters) The appointment of loss adjusters should be made with special care by the investigator, or by the court, with a process of selection between the persons who are listed in the table, which has been prepared in accordance with Article 185 only if there is no such list, or does not contain the expertise’s, which are required for the transaction of the loss adjustment, which has been ordered, or if the listed loss adjusters in the table are not in the jurisdiction of the commission that appoints them, only then it is possible to be appointed persons, who are not included in the table. The appointment of loss adjusters in this way, can be also done when there are loss adjusters specially appointed by a law, if the person, who investigates the case in consultation with the prosecutor, or if the prosecutor determines that this is imposed by an exceptional case. The court has the exact same right. An expert loss adjuster can be appointed, even he is not listed in the table, if the experts who have been appointed, indicate him. During the selection of loss adjusters the commission the appoints them should take into account the previous work of the loss adjusters of the list and it should avoid to appoint a loss adjustment to the same expert, if there are others in the list of the same expertise, who have not been appointed at the same time. For this purpose, in any court is retained a book with the loss adjusters, who are appointed in accordance with their expertise. Article 188 (Who are not appointed) Those who did not complete the 21 years of age Those who suffer from blocked state Those who haver been convicted of a felony or misdemeanor, which entails deprivation of their political rights, or their deduction from any public service and those, who have lost the license to practice their profession, as long as this deprivation applies. Those who have contributed in any way in shaping the present situation of the subject of the loss adjustment. How has the role of a loss adjuster broadened in our time ? A loss adjuster, according to the ordinary process of his work, he may be asked to offer his services and prepare a loss adjustment report for one of the following sections of assignments : Risk assessment review. Reports for fire damages, mechanical damages, electronic damages, damages of transport, theft, vehicle accidents etc./span> Loss adjuster’s role has not broadened in our time, furthermore it has not changed the basic process of handling a case of a damage. However, with the constant development of technology it has broadened the subject that a loss adjuster should deal with, as well as, the equipment he should use for his job. In the modern equipment he uses we should include between others the organization of his office by using computers and specialized management programs, as well as his knowledge to use the internet for either search or communication. 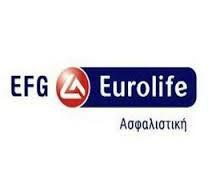 Αre loss adjusters basic and essential partners of insurance companies ? Article 46 of Decree 400/70 states that: “Loss adjusters, who during the assessment of a damage and the determination of the compensation of the insured person, make willingly false statements or false assessment in favor of the insurance company or the insured person, are punished with one month imprisonment and a fine “. It is common knowledge that loss adjusters are basic and essential partners of insurance companies. But not in the sense that they would undervalue a damage for the benefit of the insurance company. Loss adjusters are skilled consultants of the insurance company, who will investigate the cause of a damage, they will record and assess the damage after market research, they will quantify the actual cost value of the contents and buildings, they will correlate their findings with the terms of insurance policy and they will submit their proposal to the insurance company. The role of a loss adjuster is advisory to the insurance company, which will take the final decision about the compensation of the damage or its refusal. The insured person can (and in some cases it is required) appoint a loss adjuster of his own preference, who will act as his technical advisor and he will work with the loss adjuster, who has been appointed by the insurance company. In a disastrous damage, that is to say a fire, a flood, an earthquake, a theft, the loss adjuster who has been appointed by the insured person, except for the cooperation that he will have with the loss adjuster, who has been appointed by the insurance company, he will act as a consultant for the insured individual for many other issues, in order to make the correct steps to minimize the economic impact of the damage and to improve insured person’s chances of recovery to prior to the incident state. Each loss has its own distinct character and it is totally unique. However, any action taken after the damage can not replace the proper and full insurance. How has the domain of loss adjustment been affected by the terrorist attack of September 11, 2001 ? The domain of loss adjustments has not affected at all by the terrorist attack of September 11, 2001. We continue to act normally without any difference in the way we work. On pre- insurance inspections we make, namely the inspections which are made before the agreement of an insurance contract for the determination of the risk of the place that it will be insured, we always investigate for any external risks, including terrorist / malicious actions, which may have high indicator of risk when they combined with the company’s domain which is under inspection and / or the specific geographic location, where the inspected place is, and / or the characteristics of the businessman / owner. Which information and data in a forthcoming risk can deceive the loss adjuster and require special attention ? All information and data of a forthcoming risk require special attention and may deceive the loss adjustment process. The standard actions that a loss adjuster should follow for any case of a damage can be grouped as follows : Actions for loss adjustment (except of vehicle damages) Research of the causes of a damage Listing of protection measures Correlation with the legally qualified operation of the business (when it comes to a workplace) Record of the damage Analysis of the financial operation of the business Valuation of the damage Valuation of the actual cost of the building facilities and its contents Correlation of findings to the terms of the insurance policy Submission of a proposal to the insurance company All the above actions if they are not done in a scientific way and based on facts they may deceive the loss adjuster and thus possibly the insurance company. The main points of friction between a loss adjuster and the insured individual typically come from ignorance of the insurance conditions by the insured person. 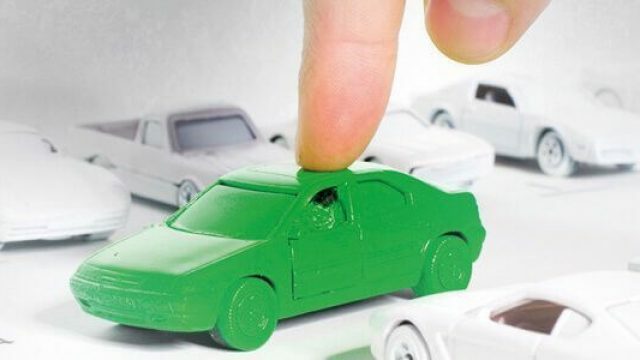 The “moral responsibility” at this point, is entirely in the insurance advisor of the insured person, because he had not inform the insured person precisely about the covers, the required protective measures and the amounts of insurance. However, the legal responsibility, belongs to the individual, who ought to read his insurance contract and if he did not agree with something or if he had any corrections or if he wanted any clarifications; he should address to the insurance advisor. 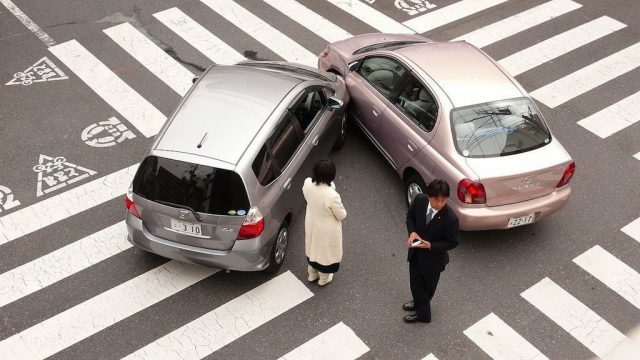 Actions for loss adjustment in vehicle damages. Actions to be taken depend on whether there were injuries or not. In general, the actions that should be taken in every loss adjustment process in a vehicle damage, are the following: Autopsy of the insured vehicle. Autopsy of the damaged vehicle. Autopsy on the place, where the accident took place. Investigation on the identity of the accident. Assessment of damage in cooperation with the repairers. Submission of proposal to the insurance company. The points of friction between the loss adjuster and the insured person typically come from the failure in understanding the cost of parts and / or the cost of the repair. 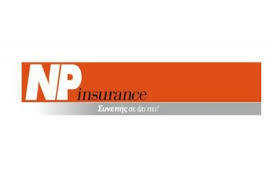 The evolution in this area can be concluded in two new computer programs, which timidly begin to implement in the Greek market, namely AUDATEX and AUTOCALC. 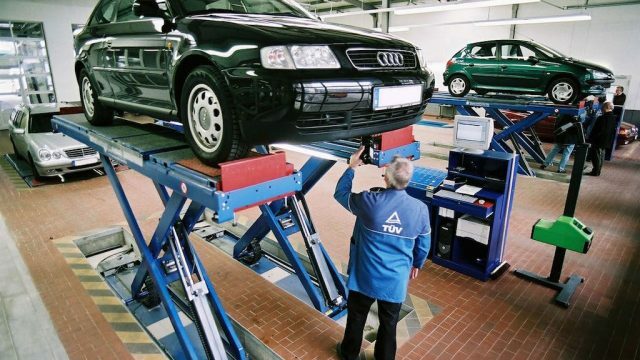 With the usage of these programs you can make clear in a large extent the cost of new car-parts and the cost of the repair. Which are the criteria of expertise among the loss adjusters ? It is common knowledge that a loss adjuster -as it happens in every domain- gains expertise when he deals with, as many cases of damage, as possible. In other words, expertise is a matter of experience. The viable and rising development of a professional loss adjuster tends to include partnerships and mergers of units of loss adjusters, because only in this way, it can be achieved the level of complete services. In this high level is offered to the customers the possibility of One Stop Shop, whether they are insurance companies or other parties. A loss adjuster – estimator of damages, or car accident investigator is a person who has the appropriate education, expertise and experience on the domain of damages. He is a freelancer and keeps a free working relationship with insurance companies, insurance agencies, organizations, legal entities of public or private law and individuals. In the triangle insurance company – damage – consumers, a loss adjuster plays the central role. 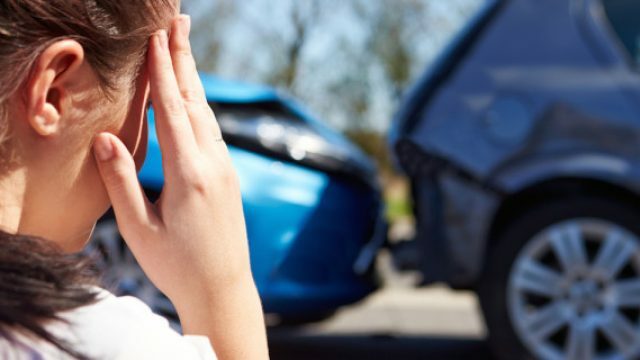 He is the first and most essential partner of the insurance companies, the person that gets in contact with the victim or the repairer, in order to assess the damage. A person who has suffered a damage of his property, he turns to the expert for a proper and fair solution, that is to say, the proper estimation and the subsequent compensation of the damage. A loss adjuster has the first and most important responsibility to manage the money of his principal (insurance company, private organizations, etc.). This makes clear the burden of responsibility and the proportion of conscientiousness that he has to bear, in order to act properly and without problems. In regard to the insurance companies, a loss adjuster is their essential and most effective associate – not in the sense that he will underestimate the damage for their benefit – but as a technical advisor of the insurance company he will investigate to some extent the causes of the damage, he will document, he will review and he will evaluate the actual cost. The report that he prepares has an advisory role for the insurance company, which is the main responsible for the final decision on the amount of compensation, or even its refusal. The data of a damage, or of a possible risk (for damages of any kind) require special attention, because they may mislead the loss adjuster and thus possibly the insurance company as well. It should be understood that in addition to his know – how and his scientific training, a loss adjuster should also have accountability and professionalism; in collaboration with his ability to draw and express his thoughts in a systematic way, a loss adjuster should use his communication skills, in order to maintain open channels of communication between the customers and any possible third party. The specialization is essential, and he obtains it by the constant training and to some extent by experience. The dignified and manners of a loss adjuster in connection with the above help him to settle the damage, properly, fairly and with accuracy, in order to facilitate the insurance company to compensate the customers quickly and correctly. The work of a loss adjuster is facilitated not only by modern equipment, but also by modern assessment methods of a damage (electronic AUDATEX-EUROTAX etc.) In regard to this, it has been observed that computer programs (databases) assist in more accurate and more merit-based assessment of a damage. But keep in mind that these computer programs are defined by external regulatory factors, which definitely affect their objectivity. These programs can not replace in any way the loss adjuster, instead they enforce and strengthen its role. Below we mention briefly the main acts of the loss adjustment of a damage (of any amount) Autopsy on the accident site Autopsy on the vehicles involved in the accident Investigation of the “identity” of the damaged vehicle Detailed recording and photographing of the damage in collaboration with a garage or not Assessment of the damage in detail and separately for each work. Preparation of a loss adjustment report and submission of it to the insurance company A loss adjuster should act methodically when inspecting a vehicle He must be very concentrated Detect if there are any traces of color Observe the height and the direction of the distortion Record and account in detail each repair or replacement of a spare part Inform and agree with the head repairer for the spare parts that need replacement and the individual repairs Discuss and settle the amount of work needed. 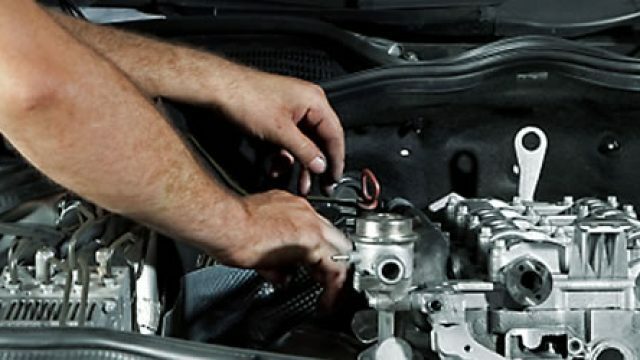 In the case that there is a disagreement with the repairer during the pricing and valuation of the damage, he should inform the vehicle owner and the insurance company with all the details that compose this disagreement Safeguard and consolidate his point of view by presenting a fully detailed costing of the damage Monitor and control the progress of repairs and spare parts, he has agreed to be replaced During the assessment of a damage they may involved factors that complicate the work of a loss adjuster, such as: the intervention or any omissions of the owner of the vehicle, due to the lack of awareness, or because he attempts to benefit financially from the damage. The main actions of a loss adjuster are : Research the causes of damage Listing of the protection measures Correlation with the legal operation of the company (when it comes for a workplace) Detailed recording and photographing of the damage Analysis of the financial operation of the company Assessment of the damage Valuation of the actual value of the content and the building facilities Correlation of the findings with the terms of the insurance policy Preparation of a loss adjustment report and submission of proposal to the insurance company To summarize the above, it is common knowledge that damages and the need for their proper assessment, reenforce the presence of a loss adjuster. Everyone who cooperates with him should evaluate his professionalism and highlight it by any means they have. The proper selection of technical consultants as partners, and the correct valuation of the services they offer, will undoubtedly proved profitable in many ways for all the involved parties, insurance company – loss adjuster – customers.